Thankfully, McDonald’s brought back — albeit FINALLY! — the winsome Happy Meal Box packaging it’s always known for. We drove thru a in a nearby McDonald and got this sunny surprise that my wife (who was a McDonald’s crew at one time in her life) wondered not so long ago as I recall — why they would let go of this engaging packaging. I remember back in the 90s and even 80s when McDonald’s Crews usually handover Happy Meal boxes with enjoyable toys and fries inside, however, recently they would just give a tray, food, and a toy wrapped in a plastic. Not entirely magical if you ask me! 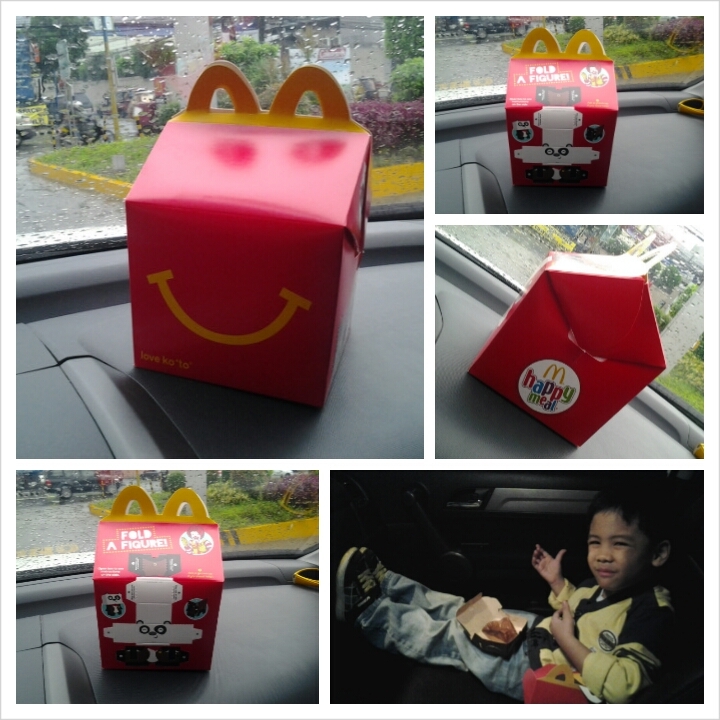 The box is unmistakably kiddie and it completes a kid’s happiness when they see their favorite thematic toys every time they buy a McDonald’s meal. So successful is this ‘ploy’ to have a toy in their order that it usually becomes enough reason to pass by McD’s to make my child’s day. In fact, it becomes a parent’s reward for their little one’s remarkable feat of obedience, excellence, and merit. McDonald’s, you have a very good product in Happy Meal. I hope you won’t let go of this useful product and packaging because not only does it give happiness to my kid with all the free toys you give but because of the complete budget that makes it truly a Happy Meal for Daddy and Mommy too. Pa-para-pa-pa…Love ko’to! Previous PostWhat Happened to Sandwich Guy?Next PostNew Cakes from Goldilocks?